WEST LAFAYETTE, Ind. — A new catalytic process is able to convert what was once considered biomass waste into lucrative chemical products that can be used in fragrances, flavorings or to create high-octane fuel for racecars and jets. 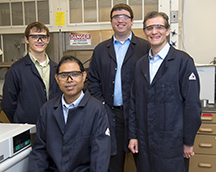 A team of researchers from Purdue University's Center for Direct Catalytic Conversion of Biomass to Biofuels, or C3Bio, has developed a process that uses a chemical catalyst and heat to spur reactions that convert lignin into valuable chemical commodities. Lignin is a tough and highly complex molecule that gives the plant cell wall its rigid structure. Mahdi Abu-Omar, the R.B. Wetherill Professor of Chemistry and Professor of Chemical Engineering and associate director of C3Bio, led the team. 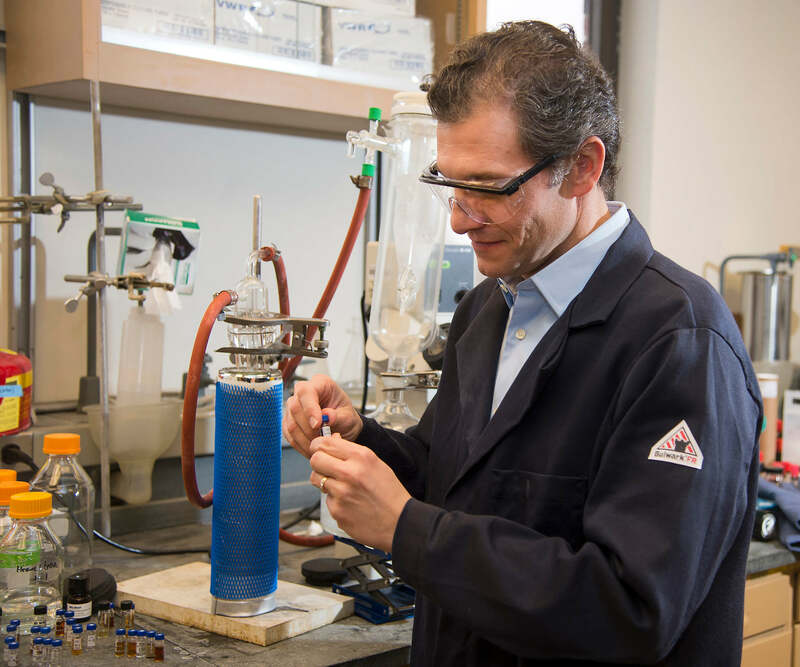 "We are able to take lignin - which most biorefineries consider waste to be burned for its heat - and turn it into high-value molecules that have applications in fragrance, flavoring and high-octane jet fuels," Abu-Omar said. "We can do this while simultaneously producing from the biomass lignin-free cellulose, which is the basis of ethanol and other liquid fuels. We do all of this in a one-step process." Plant biomass is made up primarily of lignin and cellulose, a long chain of sugar molecules that is the bulk material of plant cell walls. In standard production of ethanol, enzymes are used to break down the biomass and release sugars. Yeast then feast on the sugars and create ethanol. Lignin acts as a physical barrier that makes it difficult to extract sugars from biomass and acts as a chemical barrier that poisons the enzymes. Many refining processes include harsh pretreatment steps to break down and remove lignin, he said. "Lignin is far more than just a tough barrier preventing us from getting the good stuff out of biomass, and we need to look at the problem differently," Abu-Omar said. "While lignin accounts for approximately 25 percent of the biomass by weight, it accounts for approximately 37 percent of the carbon in biomass. As a carbon source lignin can be very valuable, we just need a way to tap into it without jeopardizing the sugars we need for biofuels." The Purdue team developed a process that starts with untreated chipped and milled wood from sustainable poplar, eucalyptus or birch trees. A catalyst is added to initiate and speed the desired chemical reactions, but is not consumed by them and can be recycled and used again. A solvent is added to the mix to help dissolve and loosen up the materials. The mixture is contained in a pressurized reactor and heated for several hours. The process breaks up the lignin molecules and results in lignin-free cellulose and a liquid stream that contains two additional chemical products, Abu-Omar said. The liquid stream contains the solvent, which is easily evaporated and recycled, and two phenols, a class of aromatic hydrocarbon compounds used in perfumes and flavorings. A commonly used artificial vanilla flavoring is currently produced using a phenol that comes from petroleum, he said. 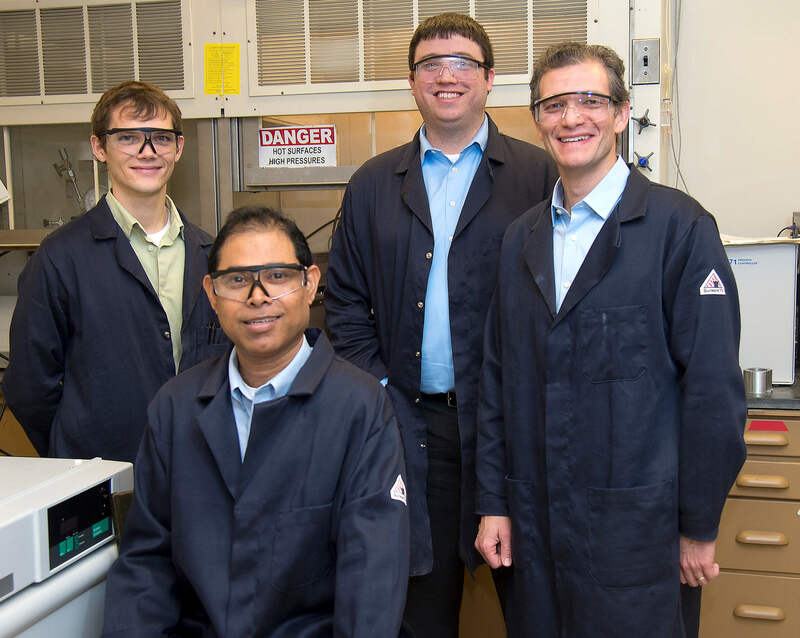 The team also developed an additional process that uses another catalyst to convert the two phenol products into high-octane hydrocarbon fuel suitable for use as drop-in gasoline. The fuel produced has a research octane rating greater than100, whereas the average gas we put into our cars has an octane rating in the eighties, he said. The processes and resulting products are detailed in a paper published online in the Royal Society of Chemistry journal Green Chemistry. The U.S. Department of Energy funded the research. In addition to Abu-Omar, co-authors include Trenton Parsell, a visiting scholar in the Department of Chemistry; chemical engineering graduate students Sara Yohe, John Degenstein, Emre Gencer, and Harshavardhan Choudhari; chemistry graduate students Ian Klein, Tiffany Jarrell, and Matt Hurt; agricultural and biological engineering graduate student Barron Hewetson; Jeong Im Kim, associate research scientist in biochemistry; Basudeb Saha, associate research scientist in chemistry; Richard Meilan, professor of forestry and natural reserouces; Nathan Mosier, associate professor of agricultural and biological engineering; Fabio Ribeiro, the R. Norris and Eleanor Shreve Professor of Chemical Engineering; W. Nicholas Delgass, the Maxine S. Nichols Emeritus Professor of Chemical Engineering; Clint Chapple, the head and distinguished professor of biochemistry; Hilkka I. Kenttamaa, professor of chemistry; and Rakesh Agrawal, the Winthrop E. Stone Distinguished Professor of Chemical Engineering. The catalyst is expensive, and the team plans to further study efficient ways to recycle it, along with ways to scale up the entire process, Abu-Omar said. "A biorefinery that focuses not only on ethanol, but on other products that can be made from the biomass is more efficient and profitable overall," he said. "It is possible that lignin could turn out to be more valuable than cellulose and could subsidize the production of ethanol from sustainable biomass." The U.S. Department of Energy-funded C3Bio center is an Energy Frontier Research Center. It is part of Discovery Park's Energy Center and the Bindley Bioscience Center at Purdue. Purdue Research Foundation has filed patent applications and launched a startup company, Spero Energy, which was founded by Abu-Omar. Current biomass utilization processes do not make use of lignin beyond its heat value. Here we report on a bimetallic Zn/Pd/C catalyst that converts lignin in intact lignocelulosic biomass directly into two methoxyphenol products, leaving behind the carbohydrates as a solid residue. Genetically modified poplar enhanced in syringyl (S) monomer content yields only a single product, dihydroeugenol. Lignin-derived methoxyphenols can be deoxygenated further to propylcyclohexane. The leftover carbohydrate residue is hydrolyzed by cellulases to give glucose in 95% yield, which is comparable to lignin-free cellulose (solkafloc). New conversion pathways to useful fuels and chemicals are proposed based on the efficient conversion of lignin into intact hydrocarbons. This research was funded by the U.S. Department of Energy, Office of Science, Office of Basic Energy Sciences award number DE-SC0000997, the National Science Foundation Emerging Frontiers in Research and Innovation award number 0938033 and NSF graduate research fellowship program #DGE-1333468.